Away from megaresorts of the DR's developed east end, the Samana Peninsula is a pristine ribbon of white sand beaches and lush jungle-clad mountains, plus a smattering of top boutique hotels and beachfront resorts. Passported's Director of Marketing & Community, Claude Davies, checked out three of the best — Casa Colonial, the brand new Playa Grande Beach Resort and Sublime Samana — and shares her reviews here. Breezy colonial beach retreat minutes from the airport on the north side of the Dominican Republic. Boutique 50-room beach sleep with a classic but clean style, an expansive lobby bar and restaurant, beach cafe, spa, gym, rooftop pool and multiple hot tubs. Standout five-star hotel in a busy area surrounding Puerto Plata, just 15 minutes from the main airport. While they do cater to youngsters with kids menus and cribs, there’s no kids’ club or beach activities and Casa Colonial's tranquil vibe is best suited to families with older children and teens. 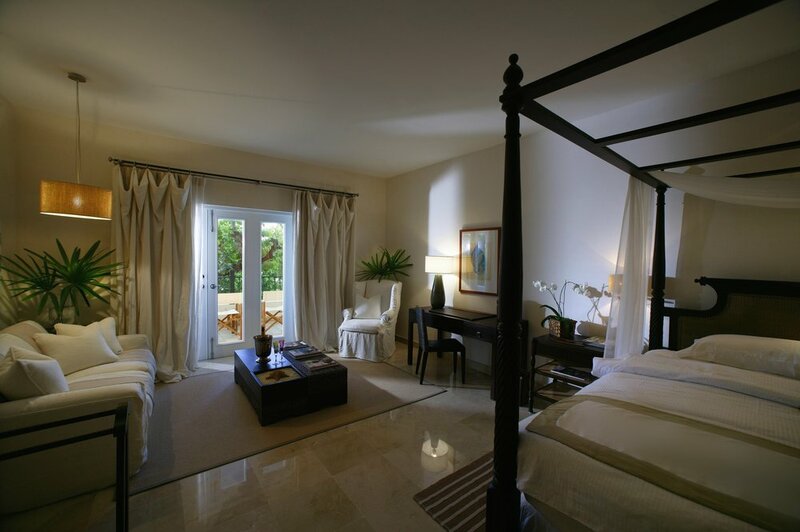 All rooms are suites, with clean and contemporary furnishings. Junior suites are the smallest, but have space for two queen beds or one king bed, and can be connected. Upscale spa vibe across the property, and especially the rooftop pool, which has a cafe and hot tub with direct ocean views. While the hotel is mostly about relaxation, one of the DR's north coast’s top attractions, 27 Waterfalls, is just a 25-minute drive away. Collection of nine unique beachfront bungalows on 2,000 private acres of the DR’s north coast. Antidote to the DR’s megaresorts on the east coast, this nine-bungalow hideaway feels more like a collection of charming guest houses belonging to your most fabulous friend. All have Dominican architectural details and mix vintage and custom-made furniture. 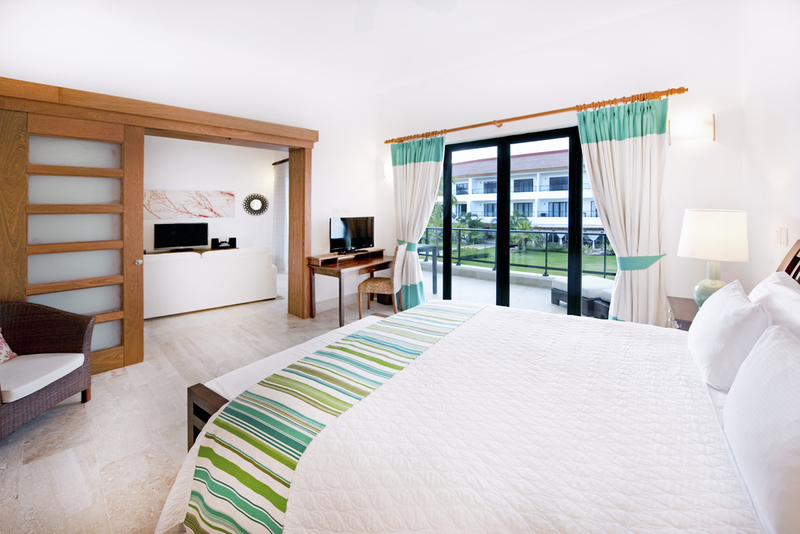 The 6 one-bedroom bungalows have full kitchens, giant bathrooms, king beds, separate sitting areas and French doors that open to enclosed sun porches; sofas can be swapped out for real twin beds if necessary. There are also 3 three-bedroom abodes for larger groups. Fly direct from most east coast hubs into Puerto Plata or Samana, then make the one-hour drive to the resort. Intimate public spaces include an open-air bar/lounge/restaurant, a separate two-story terraced library and games room, and a cabana-lined outdoor swimming pool directly behind a wide white sand beach. The tiny scale lends a personalized, home-away-from-home vibe. There’s no real kids’ club, but a dedicated staff member caters to the younger guests with activities and excursions that range from crabbing to snake hunts. If you have had your fill of lounging, swimming, eating and playing on the grounds, the Beach Club can organize myriad activities, including horseback riding, boating, caving, zip lining, hiking, or just a walk down the beach to the new Amanera for lunch. Read our extended trip report about Playa Grande Beach Club here. White-sailed spa beach resort on the DR’s northeast Samana Peninsula. Located in Las Terrenas, so guests have easy access to a vibrant community full of beachside cafes, stores and markets. A series of one- and two-bedroom suites and two- and three-bedroom casitas surround a dramatic 500-foot runway of mini pools and daybeds ending on the beach. All rooms have full kitchens and separate living rooms. Expansive spa offerings and serene design cater to adults, but kids are made very welcome too, with pools, basketball/tennis courts, bikes, and a wide range of activities on the beach and grounds. While parents get pampered at the oceanside spa pavillion, kids can play on the beach, in the pools, or on the grounds. There’s even family yoga under the gazebo. Choice of two restaurants: the more formal Bistro for Dominican fare, or Beachside Grill for sand-in-toes dining and a Mediterranean menu with kids’ options. The property has its own area airport and offers excursions for the whole family across the Samana Peninsula, including horseback riding to El Limon waterfall, whale watching and sail trips to secluded beaches. Stay tuned for our review of the just-opened Aman Hotel, Amanera, on Playa Grande, or get in touch with our Travel Team to book your stay.